Dr. Gupta's research interests are in pattern recognition, neural networks, and signal processing. He has considerable expertise in designing systems for diverse problems such as automatic target recognition, brain-waveform analysis and classification, predicting item difficulties in reading comprehension tests, and predicting and classifying general temporal sequences. He has been awarded contracts from the Army Research office to conduct research in the development of smart munitions, from Seagate Technology on image compression research, from Cleveland Medical Devices on NIH funded projects related to brain wave form analysis and classification, from Think-A-Move Inc. on a NIH funded project related to Human-Machine Interfacing, from Neuronetrix on a NIH funded project on detecting neurological disorders from evoked potentials, and from the Naval Postgraduate School on research related to Human-Machine Interfacing. He is also a Co-PI of a $1.2 million grant from NSF aimed at increasing retention and graduation rates in the College of Engineering at SIUC. Dr. Gupta has numerous publications in the areas of neural networks, evoked potential analyses and classification, and multi-channel/sensor information fusion strategies. Dr. Gupta serves as an Associate Editor of the Pattern Recognition Journal, is a Senior Member of the IEEE, and is listed in Marquis Who’s Who in America. Ph.D. Electrical Engineering, Southern Methodist University, Dallas, Texas, l986. M.S. Electrical Engineering (Digital Systems), Brunel University, Uxbridge, England, l981. B.E. (Hons.) Electrical Engineering, Birla Institute of Technology and Science, Pilani, India, l976. Professor, Department of Electrical and Computer Engineering, Southern Illinois University, Carbondale, Illinois, July 2001 present. Associate Professor, Department of Electrical Engineering, Southern Illinois University, Carbondale, Illinois, July l992 June 2001. Assistant Professor, Department of Electrical Engineering, Southern Illinois University, Carbondale, Illinois, June l986 June l992. Member, SIU-C Outstanding Dissertation Award Committee (l999 - 2001). Member, SIU-C Research Development and Administrative Review Committee for Mathematics, Engineering, and the Physical Sciences (l995 - l997). Mentor, College of Engineering Faculty Mentoring Program (Fall l999 - present). Chair, Department of Electrical Engineering Faculty Search Committee (l987 - l994). Associate Chair, Department ABET 2000 review committee (1999-2000). Member, Graduate Studies Committee, Southern at 150 (2002). Member, Department of Electrical Engineering Undergraduate Affairs Committee (l994 - present). Member, University Research Misconduct Committee (2004). Assessment Coordinator, M.S. Program, Department of Electrical Engineering, (l998 - present). Chair, ECE Department Undergraduate Affairs Committee (2007 – 2011). Member, ECE Department Strategic Affairs Committee (2012 – present). Director, ECE Department Graduate Program (2012 – present). Pattern Recognition, Signal Processing, Neuroinformatics, and Neural Networks. L. Gupta, “A neural network approach to the detection of degraded target signatures for smart munitions,” Army Research Office/Battelle, 5/1/91-2/28/92. L. Gupta, “The robust detection of specific target features for smart munitions,” Army Research Office/Battelle, 5/15/92-12/31/92. L. Gupta, “Segmentation and classification of degraded target signatures for smart munitions,” Army Research Office/Battelle, 4/1/93-9/30/93. D. Molfese & L. Gupta, “EEG telemetry system (Phase I; NIH/SBIR),” Cleveland Medical Devices subcontract, 1995-1996. L. Gupta, “Seizure analysis and prediction (Phase I; NIH/SBIR),” Cleveland Medical Devices subcontract, 5/15/03 5/14/04. L. Gupta, “Seizure analysis and prediction (Phase II; NIH/SBIR),” Cleveland Medical Devices subcontract, 4/1/04 3/31/05. L. Gupta, “An ear device for hands free wheelchair control (Phase I, NIH/SBIR),” Think-A-Move Ltd. subcontract, 9/1/03 5/1/04. L. Gupta, “Online database and analysis system for ERP screening (1),” Neuronetrix, 1/1/05 8/15/05. L. Gupta, “Online database and analysis system for ERP screening (2),” Neuronetrix, 6/1/05 12/31/05. L. Gupta, “An ear device for hands free wheelchair control (Phase II, NIH/SBIR),” Think-A-Move Ltd. subcontract, 6/1/05 5/15/06). L. Gupta, “Human-Machine Interface System for Hands-Free Robot Tele-Operation", Naval Postgraduate School, 8/7/06 - 12/30/06. H. Sevim, L. Gupta, J. Mathias, K. A. Pericak-Spector, J. Tezcan, "Engineering and Technology Talent Expansion Program at Southern Illinois University", NSF, 9/15/06 - 8/31/10. L. Gupta, “Color-agnostic dropout of document background,” California Testing Bureau/McGraw Hill, 5/15/2012 – 5/14/2013. L. Gupta, “Object identification and tracking,” Rockwell-Collins, 5/15/2012 – 5/14/2013. US Patent Number: 9,019,570, “Systems and Methods for Computationally Distinguishing Handwritten Pencil Marks From Preprinted Marks in a Scanned Document”, 4/28/2015. L. Gupta and M.D. Srinath, “Contour sequence moments for the classification of closed planar shapes,”Pattern Recognition, vol. 20-3, 267-272, l987. L. Gupta and M.D, Srinath, “Invariant planar shape recognition using dynamic alignment,” Pattern Recognition, vol. 21-3, 235-239, l988. L. Gupta, M.R. Sayeh and R. Tammana, “A neural network approach to robust shape classification,”Pattern Recognition, vol. 23-6, 563-568, l990. L. Gupta and K. Malakapalli, “Robust partial shape classification using invariant breakpoints anddynamic alignment,” Pattern Recognition, vol. 23-10, 1103-1111, l990. L. Gupta and A.M. Upadhye, “Non-linear alignment of neural net outputs for partial shape classification,”Pattern Recognition, vol. 24-10, 943-948, l991. L. Gupta , A.M. Upadhye, B. Denby, S.R. Amendolia, and G. Grieco, “Neural network trigger algorithms for detecting heavy quark events in a fixed target High Energy Physics experiment,” Pattern Recognition, vol. 25-4, 413-421, l992. L. Gupta, J. Wang, A. Charles, and P. Kisatsky, “Prototype selection rules for neural network training,.”Pattern Recognition vol. 25-11, 1401-1408, l992. L. Gupta, J. Wang, A. Charles, and P. Kisatsky, “Three-layer perceptron based classifiers for the partial shape classification problem,” Pattern Recognition, vol. 27-1, 91-97, l994. L. Gupta, D.L. Molfese, and R. Tammana, “An artificial neural network approach to ERP classification,” Brain and Cognition, vol. 27, 311-330, l995. L. Gupta, T. Sortrakul, A. Charles, and P. Kisatsky, “Robust automatic target recognition using a localized boundary representation,”Pattern Recognition, vol. 28-10, 1587-1598, l995. L. Gupta and R. Tammana, “A discrepancy measure for improved clustering,” Pattern Recognition, vol. 28-10, l627-1634, l995. K. Perkins, L. Gupta, and R. Tammana, “Predicting item difficulty in a reading comprehension test with an artificial neural network,” Language Testing, vol. L2, No. 1, 33-53, l995. L. Gupta, D. L. Molfese, R. Tammana, and P. G. Simos, “Non-linear alignment and averaging for estimating the evoked potential,” IEEE Transactions on Biomedical Engineering, vol. 43, No. 4, 348-356, l996. L. Gupta and T. Sortrakul, “A gaussian mixture based image segmentation algorithm,” Pattern Recognition, vol. 31. No. 3, 315-325, l998. L. Gupta, M. McAvoy, and J. Phegley, “Classification of temporal sequences via prediction using the simple recurrent neural network,” Pattern Recognition, vol. 33, No. 10, 1759-1770, 2000. L. Gupta and M. McAvoy, “Investigating the prediction capabilities of the simple recurrent neural network on real temporal sequences,” Pattern Recognition, Vol. 33, No. 12, 2075-2081. L. Gupta and S. Ma, “Gesture-based interaction and communication: automated classification of hand gesture contours,” IEEE Transactions on Systems, Man, & Cybernetics C, vol. 31, No. 1, 114-120, 2001. J. Phegley, K. Perkins, L. Gupta, & J.K. Dorsey, “Risk factor fusion for predicting multifactorial diseases,”IEEE Transactions on Biomedical Engineering, Vol. 49, No. 1, 72-76, 2002. L. Gupta, J. Phegley, & D.L. Molfese, “Parametric classification of multichannel evoked potentials,” IEEE Transactions on Biomedical Engineering, vol. 49, No. 8, 905-911, Aug. 2002 (vol. 49, No. 9, 1070, September 2002). J. Phegley, K. Perkins, L. Gupta, & L. Hughes, “Multi-category prediction of multifactorial diseases through risk factor fusion and rank sum selection,” IEEE Transactions on Systems, Man, & Cybernetics A, Vol. 35, No. 5, 718-726, September 2005. L. Gupta, H. Kook, D.L. Molfese, & K.C. Fadem, “Multi-stimuli multi-channel data and decision fusion strategies for dyslexia prediction using neonatal ERPs,” Pattern Recognition, Vol. 28, No. 11, 2174-2184, 2005. L. Gupta, B. Chung, M.D. Srinath, D.L. Molfese, & H. Kook “Multi-channel fusion models for the parametric classification of differential brain activity,” IEEE Transactions on Biomedical Engineering, Vol. 52, No. 11, 1869-1881, 2005. R. Vaidyanathan, B. Chung, L. Gupta, H. Kook, S. Kota, & J. West, “A tongue-movement communication and control strategy for hands-free human-machine interfaces,” IEEE Transactions on Systems, Man, & Cybernetics A, 533-546, July 2007. R.Vaidyanathan, M.Fargues, R.S. Kurkan, L. Gupta, S. Kotta, R.D. Quinn, & D. Lin, “A Dual-Mode Human-Machine Interface for Robotic Control based on Acoustic Sensitivity of the Aural Cavity,” International Journal of Robotics Research, Special Issue, November 2007. H. Kook, L. Gupta, S. Kota, D. Molfese, & H. Lyytinen, “An Offline/Real-Time Artifact Rejection Strategy to Improve the Classification of Multi-channel Evoked Potential,” Pattern Recognition, vol. 41, no. 6, pp. 1985-1996, 2008. R. Vaidyanathan, T. S. Prince, M. Modarreszadeh, L. Gupta, & F. J. Lisy, “Computationally Efficient Predictive Adaptive Control for Robotic Operation in Dynamic Environments and Task Domains,”Proceedings of the Institution of Mechanical Engineers, Part B, Journal of Engineering Manufacture, 222, 12, 1695-1713, 2008. S. Kota, L. Gupta, D. Molfese & R. Vaidyanathan, “A dynamic channel selection strategy for dense array ERP classification,” IEEE Transactions on Biomedical Engineering, vol. 56, no. 4, 1040-1051, 2009. U.B. Karangula, M.A. Kassem, L Gupta, H. El-Shemy, & D.A. Lightfoot, “Locus Interactions Underlies Seed Yield In Soybeans Resistant to Hetrodera glycines,” Current Issues in Molecular Biology, 11 (Suppl. 1) i73-84, 2009. M. Mace, R. Vaidyanathan, S.Wang, & L. Gupta, "Tongue in Cheek: A Novel Concept in Assistive Human Machine Interface", Journal of Assistive Technologies, vol. 3, pp. 14-26, 2009. L. Gupta, S. Kota, S. Murali, D. L. Molfese, and R. Vaidyanathan, "Feature Ranking Strategy to Facilitate Multivariate Signal Classification," IEEE Transactions on Systems, Man, and Cybernatics C, vol. 40, no. 1, PP. 98-108, 2010. L. Gupta, S. Kota, P. Yarlagadda and D. L. Molfese, "Central-Tendency Estimation and Nearest-Estimate Classification of Event Related Potentials," Pattern Recognition, Vol. 44-7, 1418-1425, 2011. K. A. Mamun, M. Mace, L. Gupta, C. A. Verschuur, M. E. Lutman, M. Stokes, R. Vaidyanathan, S. Wang, "Robust Real-time Identification of Tongue Movement Commands from Interferences,"Neurocomputing, 80, pp 83-92, 2012. Y. Nanyam, R. Choudhary, L. Gupta L, J. Paliwal, "A Decision-Fusion Strategy for Hyperspectral Fruit Inspection, " Biosystems Engineering, Vol. 111, 118-125, 2012. M. Mace, K. Abdullah-al-Mamun, A.A. Naeem, L. Gupta, L, S. Wang, R. Vaidyanathan, "A heterogeneous framework for real-time decoding of bioacoustic signals: Applications to assistive interfaces and prosthesis control", Expert Systems with Applications 40, 13, pp 5049-5060, 2013. S. Kota, L. Gupta, D. Molfese, R. Vaidyanathan, “Diversity-Based Selection of Polychotomous Components for Multi-Sensor Fusion Classifiers”, Journal of Engineering in Medicine, 227, 6, 655-662, 2013. A. Poudel, R. Kanneganti, S. Li, L. Gupta, & T. P. Chu, "Classification of Ultrasonic Echo Signals to Detect Embedded Defects in CFRP Panels," International Journal of Microstructure and Materials Properties,” vol. 10, No. 3/4, 216-230, 2015. M. Alruwaili and L. Gupta, "Formulating Enhancement and Restoration Strategy to Improve the Quality of Dusty Images," Journal of Computers vol. 12, no. 4, pp. 291-300, 2017. A. Fadhil, R. Kanneganti, L. Gupta, & R. Vaidyanathan, “Fusion of Enhanced Vision System and Synthetic Vision System Images for Runway and Horizon Detection (under review). 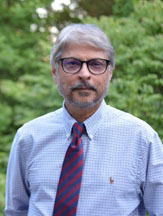 L. Gupta, M.R. Sayeh, and R. Tammana, “A neural network approach to robust shape classification,”Automatic Object Recognition, SPIE Milestone Series. L. Gupta, “Global and localized automatic target recognition,” in Current Topics in Pattern Recognition Research 1. Research Trends, edited by the Council of Scientific Information, India, l994. L. Gupta, J. Phegley, and D.L. Molfese, “ Issues in classifying evoked potentials,” in Recent Research Developments in Biomedical Engineering,” in Recent Research Developments in Biomedical Engineering,” edited by Transworld Research Network, India, 1(2002):77-92 ISBN:81-7895-013-8, 2002. S. Kota, L. Gupta, D. L. Molfese, & R.Vaidyanathan, “Diversity-Based Selection of Polychotomous Components for Multi-Sensor Fusion Classifiers,” Pattern Recognition: Methods and Application, iConcept Press Ltd., 2013. R.C. Gonzales and R.E. Woods. Digital Image Processing. Prentice Hall, 2002 (this text is used in universities worldwide). L. Gupta and M.D. Srinath, “Non-linear alignment of contours for shape classification,” Twenty-Third Allerton Conference on Communication, Control, and Computing, October 26-28, l986. L. Gupta and M.D. Srinath, “Contour classification using invariant moments,” IEEE Fifth Annual Phoenix Conference on Computers and Communications, March 26- 28, l986. L. Gupta and M.D. Srinath, “Invariant planar shape recognition using dynamic alignment,” IEEE International Conference on Acoustics, Speech, and Signal Processing, Dallas, Texas, April 6-9, l987. L. Gupta and M.R. Sayeh, “Neural networks for planar shape classification,” IEEE Conference on Acoustics, Speech, and Signal Processing, New York, April 11-14, l988. L. Gupta, M.R. Sayeh and R. Tammana, “Training neural networks for robust shape classification,” Twenty-Seventh Annual Allerton Conference on Communication, Control, and Computing, September 27-29, l989. L. Gupta, M.R. Sayeh and A.M. Upadhye, “Imposing a temporal structure in neural networks,” Applications of Optical Engineering: Midwest 90, SPIE vol. 1396, l991. L. Gupta and A.M. Upadhye, “A neural network approach to the partial shape classification problem,” IJCNN-91-Seattle, July 8-12, 1991. L. Gupta, A.M. Upadhye, B. Denby, and S.R. Amendolia, “A neural net trigger for heavy quark event selection,” ANNIE 91, St. Louis, November 10-12, 1991. L. Gupta, J. Wang, A. Charles, and P. Kisatsky, “A prototype selection rule for neural network training,” SPIE’s Conference on Artificial Intelligence and Neural Networks, April 20-24, l992. L. Gupta, J. Wang, A. Charles, and P. Kisatsky, “Three-layer perceptrons for robust partial shape classification,” World Congress on Neural Networks l993, Portland, Oregon, July 11-15, l993. D.L. Molfese and L. Gupta, “A brain-response based artificial neural network control system for spinal cord and brain-injured patients,” 24th Annual Neural Prosthesis Workshop, NIH, Bethesda, MD, October 13-15, l993. K. Perkins, L. Gupta, and R. Tammana, “Predicting item difficulty in a reading comprehension test with an artificial neural network,” Language Testing Research Colloquium, March 5-7, Washington, D.C., l994. L. Gupta, D.L. Molfese, R. Tammana, and M. McAvoy, “Artifact rejection for improving the performance of evoked potential neural network classifiers,” Optical Engineering Midwest 95, May 18-19, Chicago, Illinois, l995. L. Gupta and R. Tammana, “Multi-segmentation for estimating the boundary representation,” IASTED International Conference on Signal and Image Processing, November 20-23, Las Vegas, l995. M. Sayeh, R. Viswanathan, L. Gupta, D. Kagaris, and D. Kanneganti, “Fiber-optic sensor based system to estimate stress in smart structures,” Proceedings of SPIE Smart Structures & Materials, vol. 3330, San Diego, l998. L. Gupta, J. Phegley, & D.L. Molfese, “Robust classification of multichannel match and mismatch evoked potentials,” 22ndAnnual International Conference of the IEEE Engineering in Medicine & Biology Society, July 23-28, Chicago, 2000. J. Phegley, K. Perkins, L. Gupta, and J. K. Dorsey, “Risk factor fusion for predicting multifactorial diseases,” 23rdAnnual International Conference of the IEEE Engineering in Medicine & Biology Society, October 25-28, Istanbul, Turkey, 2001. L. Gupta, J. Phegley, & D.L. Molfese, “Parameter estimation and multichannel fusion for classifying averaged ERPs,” The Second Joint Meeting of the IEEE Engineering in Medicine and Biology Society and the Biomedical Engineering Society, October 23-26, Houston, Texas, 2002. L. Gupta, B. Chung, J. Phegley, & D.L. Molfese, “A multi-channel EP fusion classification strategy for brain-computer interface development,” The 7 World Multiconference on Systemics, Cybernetics and Informatics, July 27-30, Orlando, Florida, 2003. L. Gupta, B. Chung, J. Phegley, & D.L. Molfese, “Multi-channel fusion models for the parametric classification of multi-category differential brain activity,” 26th Annual International Conference of the IEEE Engineering in Medicine and Biology Society, September 1-5, San Francisco, California, 2004. R. Vaidyanathan, H. Kook, L. Gupta, & J. West, “Parametric and non-parametric signal analysis for mapping air flow in the ear canal to tongue movements: A new strategy for hands-free Human-machine interface,” IEEE International Conference on Acoustics, Speech, and Signal Processing, May 17-21, 2004, Montreal, Quebec, Canada. R. Vaidyanathan, T. Huynh, T. Allen, R.D. Quinn, M. Tabib-Azar, J. Zarycki, J. Levin, B. Chung, & L. Gupta, “Human-Machine Interface for Tele-Robotic Operation: Mapping of Tongue Movements Based on Aural Flow Monitoring,” IEEE International Conference on Intelligent Robots and Systems (IROS), September 28-October 2, 2004, Sendai, Japan (Best Paper Award). R. Vaidyanathan, M. Fargues, L. Gupta, S. Kota, D. Ling & J. West, “A dual-mode human-machine interface for robotic control based on acoustic sensitivity of the aural cavity,” The First IEEE RAS-EMBS International conference on Biomedical Robotics and Biomechatronics, Pisa, Tuscany, Italy, February 2006. R. Vaidyanathan, L. Gupta, H. Kook, & J. West, “A decision fusion pattern classification architecture for robotic interface,” 2006 IEEE International conference on Robotics and Automation (ICRA), Orlando, Florida, May 2006. Hyunseok Kook, Lalit Gupta, Dennis Molfese , Heikki Lyytinen, & K.C. Fadem, “An Offline/Real-Time Artifact Rejection Strategy to Improve the Classification of Multi-Channel Evoked Potentials,” 28th Annual International Conference of the IEEE Engineering in Medicine and Biology Society, August 30-September 3, New York City, 2006. J. Mathias, L. Gupta, J. Nicklow, J. Tezcan, R. Caffey, B. Chrisman, C. Pearson, K. Pericak-Spector, R. Kowalchuk, E. Lewis, & H. Sevim, “Improved retention through innovative academic and nonacademic programs.” Proceedings of the 2007 ASEE Conference, Honolulu, HI, June 24-27, 2007. J. Mathias, L. Gupta, J. Nicklow, J. Tezcan, R. Caffey, B. Chrisman, C. Pearson, K. Pericak-Spector, R. Kowalchuk, & E. Lewis, (2007). Framing an Engineering Residential College - Poster Presentation, NSF STEP Meeting, Washington, D.C., March 22-23, 2007. H. Kook, L. Gupta, S. Kota, & D. Molfese, “A dynamic multi-channel decision-fusion strategy to classify differential brain activity,” 29th Annual International Conference of the IEEE Engineering in Medicine and Biology Society, August 23-26, Lyon, France, 2007. S. Kota, L. Gupta, D. Molfese, & R. Vaidyanathan, “Spatio-Temporal Modeling for Dense Array ERP Classification,” 30th Annual International Conference of the IEEE Engineering in Medicine and Biology Society, August 20-25, Vancouver, Canada, 2008. (Selected for student paper competition). R. Vaidynathan, S. Wang, & L. Gupta, “A Wavelet Denoising Approach for Signal Action Isolation in the Ear Canal,”, 30th Annual International Conference of the IEEE Engineering in Medicine and Biology Society, August 20-25, Vancouver, Canada, 2008. L. Gupta, S. Kota, S. Murali, D. Molfese, & R. Vaidyanathan, “Dimensionality Reduction Strategies for the Design of Human Machine Interface Signal Classifiers,” The IEEE International Conference on Systems, Man, and Cybernetics, October 12-15, Singapore, 2008. R. Vaidyanathan, M. Fargues, L. Gupta, R. Kurcan, S. Kota, D. Lin, & R.D. Quinn, “A dual mode aural human-robot teleoperation interface,” 4th International Symposium Adaptive Motion of Animals and Machines (AMAM 2008), Cleveland, OH, USA 2008. J. Nicklow, R. Kowalchuk, L. Gupta, J. Tezcan, & J. Mathias, “A short-term assessment of a multi-faceted engineering retention program,” 39th ASEE/IEEE Frontiers in Education Conference, October 18-21, 2009, San Antonio, TX. S. Kota, M. Mace, L. Gupta, & R. Vaidynathan, “A DCT-Gaussian classification scheme for human-robot interface,” The 2009 IEEE/RSJ International Conference on Intelligent Robots and Systems, October 11-15, St. Louis, MO, USA, 2009. S. Kota, P. Yarlagadda, L. Gupta, & D. L. Molfese, "Central-Tendency Estimation and Nearest-Estimate Classification of Multi-Channel Evoked Potentials," 31st Annual International Conference of the IEEE Engineering in Medicine and Biology Society, pp. 2575-2578, 3rd 6th September, Minneapolis, MN, USA, 2009. M. Mace, K.A. Manmun, S. Wang, L. Gupta, & R. Vaidyanathan, " Real-time Implementation of an Non-Invasive Tongue-based Human Robot Interface," IEEE Internatiponal Conference on Intelligent Robots and Systems (IROS), Taipei, Taiwan, 5846-5852, 2010. R. Choudhary, J. Paliwal, Y. Nanyam, and L. Gupta, "Near Infrared Hyper spectral Imaging for Nondestructive Measurement of Strawberry Quality," ASABE Annual International Meeting, Pittsburgh, Pennsylvania, June 20- June 23, 2010. M. Mace, K.A. Manmun, S. Wang, L. Gupta, & R. Vaidyanathan, " Real-time Operation of an Aural Based Human Robot Interface," 11th Towards Autonomous Robotic Systems (TAROS' 2010), Plymouth, UK, 148-153, 2010. K. A. Mamun, M. Mace, M. E. Lutment, R. Vaidyanathan, L. Gupta, and S. Wang, "Multivariate Bayesian Classification of Tongue Movement Ear Pressure Signals Based on the Wavelet Packet Transform," Machine Learning for Signal Processing (MLSP), pp. 208-213, August 29th September 1st, Kittil , Finland, 2010. L. Gupta, S. Kota, D. L. Molfese and R. Vaidyanathan, "Diversity-Based Selection of Components for Fusion Classifiers", 32nd Annual International Conference of the IEEE Engineering in Medicine and Biology Society (EMBC), pp. 6304-6307, August 31st - September 4th, Buenos Aires, Argentina, 2010. M. Mace, K.A. Manmun, L. Gupta, S. Wang, R. Vaidyanathan, "Ensemble classi?cation for robust discrimination of multi-channel, multi-class ear pressure signals" IEEE International Conference on Engineering in Medicine and Biology (EMBC), pp 1733-1736, Boston, MA, USA, Sept 2011. A. Poudel, R. Kanneganti, L. Gupta, & T.P. Chu, “Nearest Mean Classifier for Defect Classification in CFRP Panels,” Proceedings of 22nd Annual Research Symposium and Spring Conference, Memphis, TN., March 18-21, 2013. R. Kanneganti, R. Fry, & L. Gupta, “Detection of Aberrant Responses in OMR Documents”, The 2014 International Conference on Image Processing, Computer Vision, and Pattern Recognition, July 21-24, Las Vegas, Nevada, 2014. R. Kanneganti, R. Fry, & L. Gupta, “Runway and Horizon Detection through Fusion of Enhanced Vision System and Synthetic Vision System Images,” The 2014 International Conference on Image Processing, Computer Vision, and Pattern Recognition, July 21-24, Las Vegas, Nevada, 2014. Y. Nanyam, R. Choudhary, A. Umagiliyage, S. Gopaluni, & L. Gupta, “Non-destructive prediction of quality factors in apples using VIS and NIR reflectance spectroscopy,” 2015 Annual International ASABE Meeting, New Orleans, Louisiana, July 26-29, 2015. H. Al-Hraishawi & L. Gupta, “Modulation identification for cognitive aeronautical air-ground communications,” 2016 IEEE AUTOTESTCON, Anaheim, California, September 2016. Ravi Tammana, “Analysis and classification of signals with time-varying characteristics,” June 1994. Thotsapon Sortrakul, “Segmentation and classification of degraded targets,” September l995. Mark McAvoy, “Design and evaluation of signal classifiers,” September 1998. J. Phegley, “Design of parametric fusion classifiers,” Summer 2001. Beom S. Chung, “Non-intrusive human-machine interface strategies.”, Summer 2004. Hyunseok Kook, “Information fusion and artifact detection to improve the performance of multi-channel brain waveform classifiers,” December 2006. S. Kota, Dimensionality reduction and fusion strategies for the design of parametric signal classifiers, December, 2010. M. Kelsey, The development and evaluation of techniques for use in mammographic screening computer aided detection systems,” Summer 2011. Ahmed Fadil, “Formulations of detection strategies in images,” May 2014. Raghuveer Kanneganti, “Classification of one-dimensional and two-dimensional signals,” Summer, 2014. Neda Hantehzadeh, An automatic bio-inspired model of key point detection and extraction strategy for classification of 2-D and 3_D images, May 2015. Rapeepan Maitree, Real-time classification of continuous gestures, April 2015. Madallah Alruwaili, Enhancement and Restoration of Dust Images, March 2015. Yang Bai, Object tracking and fetal signal monitoring, June 2016. Served as co-director for Thiraphong Charoenkhunwiwat, “Outlier resistant filtering,” July 1997.